ABBOTSFORD – Provincial regulations governing the use of the term “organic” come into force on September 1. Raising awareness of what that means for the sector is key to communications efforts the Certified Organic Associations of BC plans to undertake this year. During a roundtable discussion at COABC’s annual conference in Abbotsford at the end of February, Wakeling and COABC communications officer Darcy Smith discussed the work that lies ahead and solicited ideas about how to accomplish it. The new regulations aim to ensure BC consumers can trust that what they’re buying has certification backing up its claim to be organic. However, it’s the producers themselves – many of whom pride themselves on being transparent about farming practices – whose labelling may have to change. Wakeling acknowledges that the change may prompt confusion and resistance from growers who claim to be organic but haven’t sought certification, and encouraged COABC members to be gentle advocates for the new labelling requirements. COABC anticipates a tide of new certifications as the regulations take effect. “A lot of people who say they’re organic are actually very close and could certify,” notes COABC executive director Jen Gamble. According to Statistics Canada, 110 farms were in transition to full organic production in 2016. Gamble notes that the typical three-year transition period for farms can be shortened at the discretion of the certifying body if the history of the property warrants it. However, the transition period must be a minimum of one year. Moreover, the national organic standard requires that applicants submit certification applications at least 15 months before selling products labelled as organic. Wakeling emphasized that the regulations will allow COABC continue to do what it does well, which is build trust – a key element of its new five-year strategic plan. “The reason we’re doing this is consumer confidence and clarity,” she said. Building on the trust that already exists with consumers is something Joel Aitken, an inspection co-ordinator with Ecocert Canada based in Guelph, ON, thinks should be a natural for the BC organic sector. “The entire organic system is built on building the public trust,” he said. With the emphasis conventional agriculture is putting on building the public trust, Wakeling cautioned against an adversarial approach with non-certified growers, regardless of production practices. 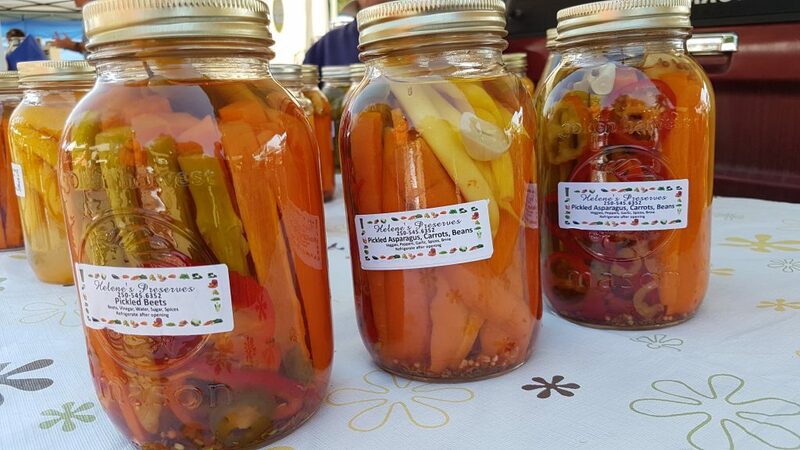 The challenges of conveying just what the new labelling requirements will mean were highlighted a week later when Gamble spoke to the annual conference of the BC Association of Farmers Markets. The discussion highlighted the confusion that exists outside the organic sector. Approximately 40% of sales at BC farmers’ markets are by certified organic farms and processors. However, those who have been using the term organic need to be ready for what’s coming. This means either having proof of certification in hand, or being ready to transition. Workshop participants were most concerned about the wording vendors will be able to use on signage. A particularly difficult concept was the fact that the use of organic ingredients doesn’t confer organic status on a processed product, such as a pie. However, if organic ingredients are processed in a facility with organic certification, then the final product will likely be organic. Similarly, market managers asked whether coffee brewed from organic beans can be called organic. There is also the question of whether business names that include the word “organic” will need to change. 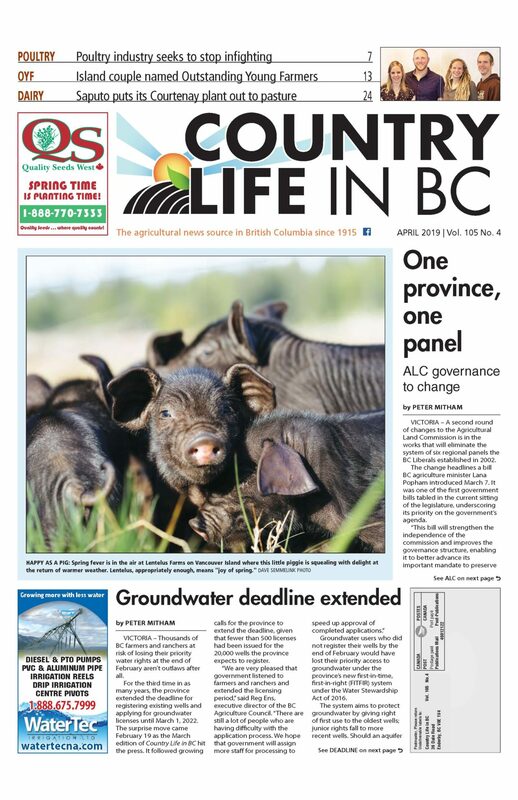 “Those specific details are still being worked out,” agriculture ministry staff told Country Life in BC.